The Slovak Radio Symphony, founded in 1929, has become an internationally known concert ensemble and tours frequently. The sonics are high quality and communicate well the very worthwhile works of this American composer who has Naxos to thank for the exposure the major labels have failed to give him. The orchestration (A Song of the Waters) is brilliantly satisfying, and the performance leaves one wondering why this has not yet become an Americana concert hall standard. 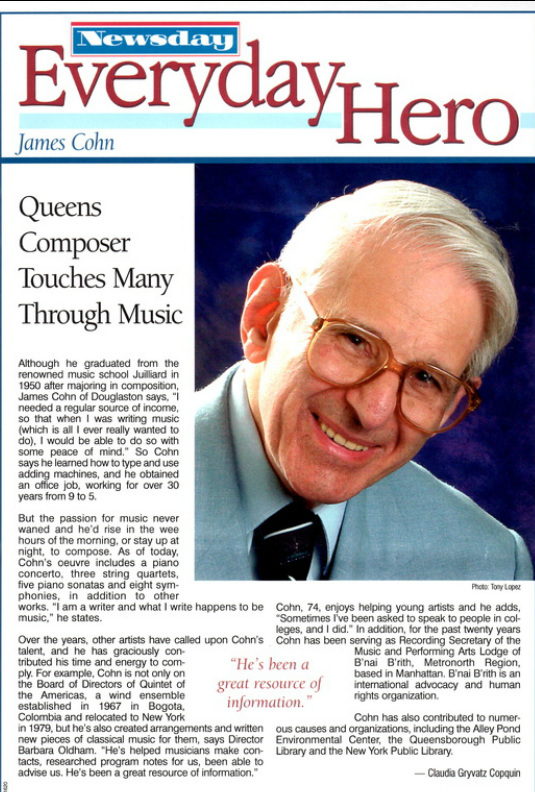 This album (James Cohn - Concertos & Tone Poems) stands as a solid introduction to the works of American composer James Cohn, which will hopefully serve as a vehicle to introduce more people to his impressive catalogue of compositions.